This a series of reports based on one set of common elements. The only difference is the activation of elements in the grid. 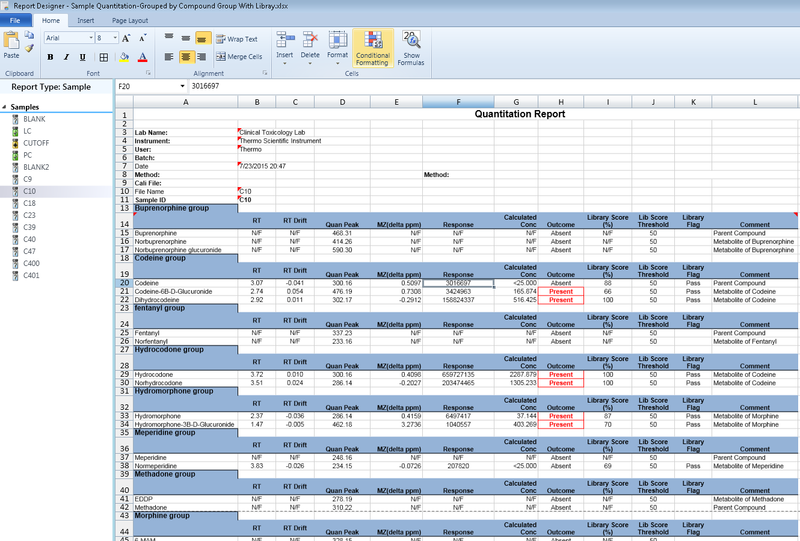 This shows how one report can simply be utilized to create multiple reports. Utilizes basic Excel functions. This particular report makes use of two fields in the method that contain free text entries on a compound basis and are repurposed. The fields are used to add a comment for labeling a compound and to calculate a flag based on library score. The data table utilizes many custom functions to create this functionality. These functions are typical Excel function statements. All the examples I used to construct this report were found by searching for them on the net. 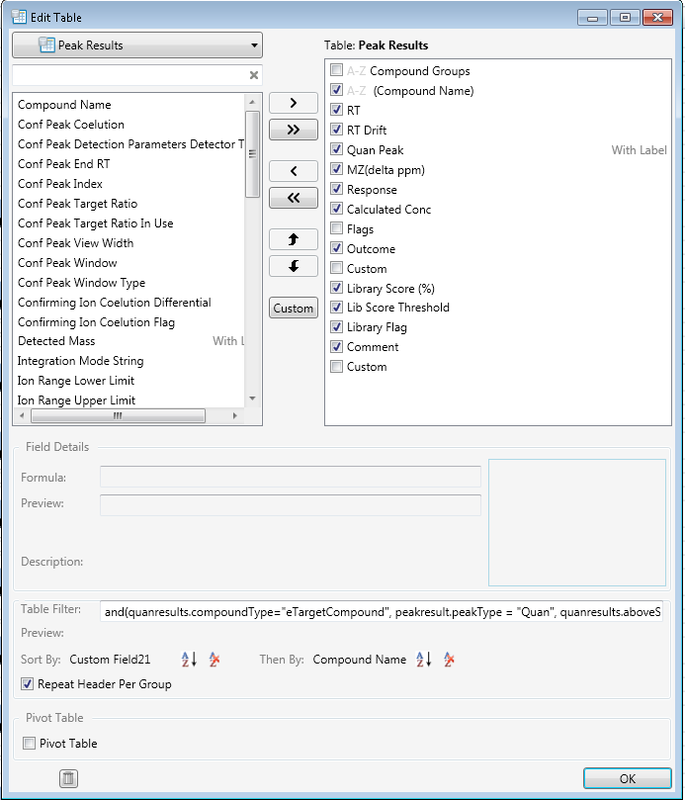 The data table utilizes a sort function by utilizing the Compound Group as the first sort. By checking the Repeat Header Per Group element and unchecking the Grid Entry allows for the element not to shown in the grid but raises it to the row above the set of rows that represent the Compound Group. This give a natural division between the groups. The second sort can be by compound name, or by comment. 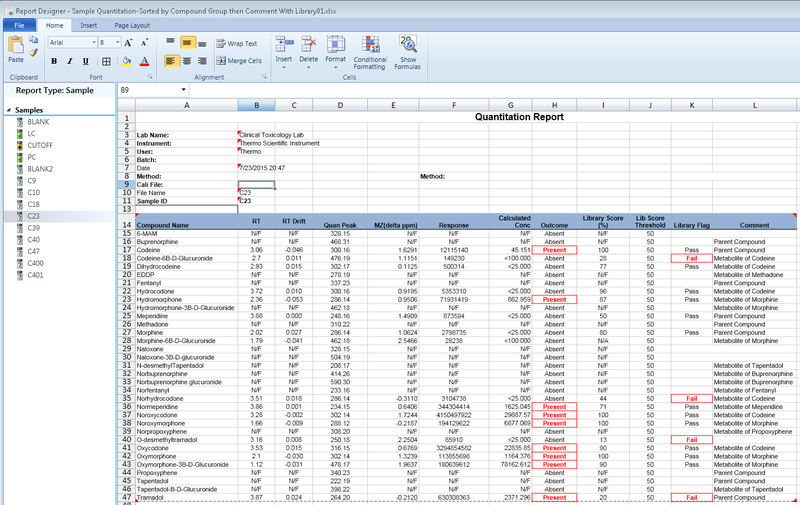 In these reports we utilized the comment to label the compounds as a parent or metabolite. By using the secondary sort in Descending order you can ensure the parent is listed first in the group and metabolites next in alphabetical order. The data table is constructed as listed below. This function sets the cell to show N/F in case of a peak not being found. If a peak is found it calculates the PPM mass difference and sets the value to be positive. This function sets the cell to show N/F in case of a peak not being found. It sets the value of the calculated amount to be converted to TEXT and limited to 3 decimal places of precision. 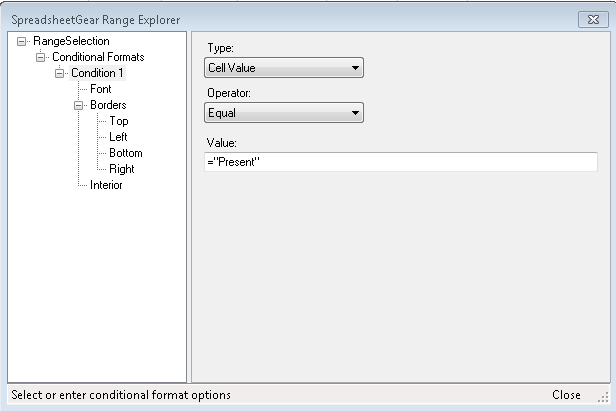 This function sets the cell to show “Absent” in case of a peak not being found. The next if statement sets the VALUE of the stored results to number. At times in reports, the results may be a string or text, by using VALUE the text is set to a number. The number of the results for Calculated Amount is compared to the Limit of Reporting value set in the method. If it is greater than the LOR value then “Present” is reported in the cell. In all other cases “Absent” is reported. This function could simply report the presence or absence of the compound utilizing the LOR flag as being TRUE or FALSE. However, that flag is only present for Unknown/Specimen sample types. 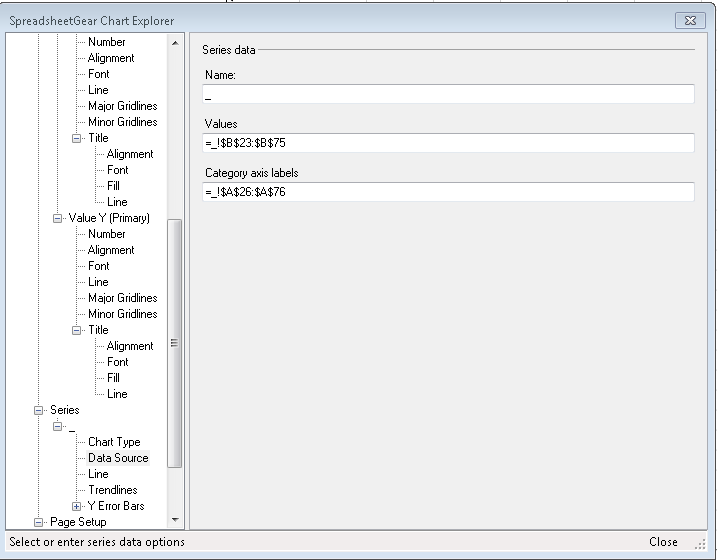 This function allows the statements to be utilized across all sample types. This statement converts the values of the Library Match Score and the value entered into the Case Number to Integers. The value then can be utilized to evaluate for being above the threshold value which the Case Number value was utilized for. If it’s above the value then the flag is “Pass”, otherwise the cell will reflect “Fail”. 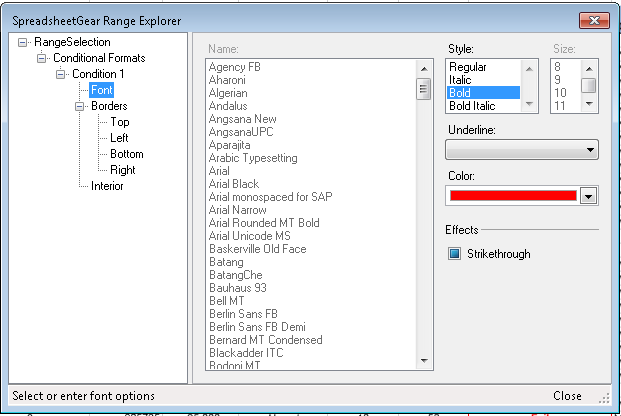 The RED text in the Outcome column utilizes the settings below. There have beena few request lately that once a customer recieved their newly created custom report from our Report Service that it wasn’t clear right off the bat how to get the template into TraceFinder for use. The video below shows how to import the xmlt file which is a VBA enabled template written by our “Professional Service” group when you make a request via the blog or sales team. It then shows how to make sure you can can use it in the application once you’ve imported it. The video is from the soon to be released TF 3.0 but the workflow is the same. So today I’m going to Blog about the Blog. 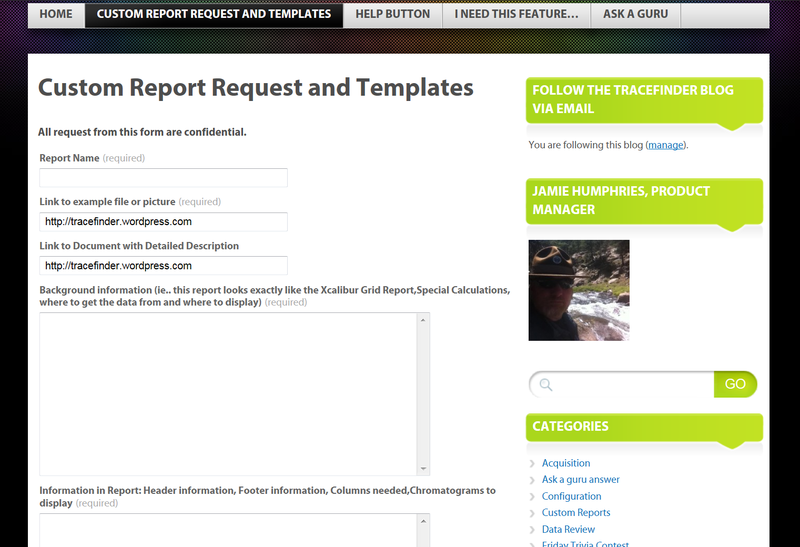 This last week, I’ve had several requests on custom reports. If you look on the tab pictured below you’ll see a form on the Blog, that gets sent directly to the TF team. We just need to make sure we get your contact info and someone will liason your request. We provide a professional service, that is solely dedicated to creatin these Templates that can be imported directly into TF. With our data structure we can provide almost any style of report needed, within the Excel framework. 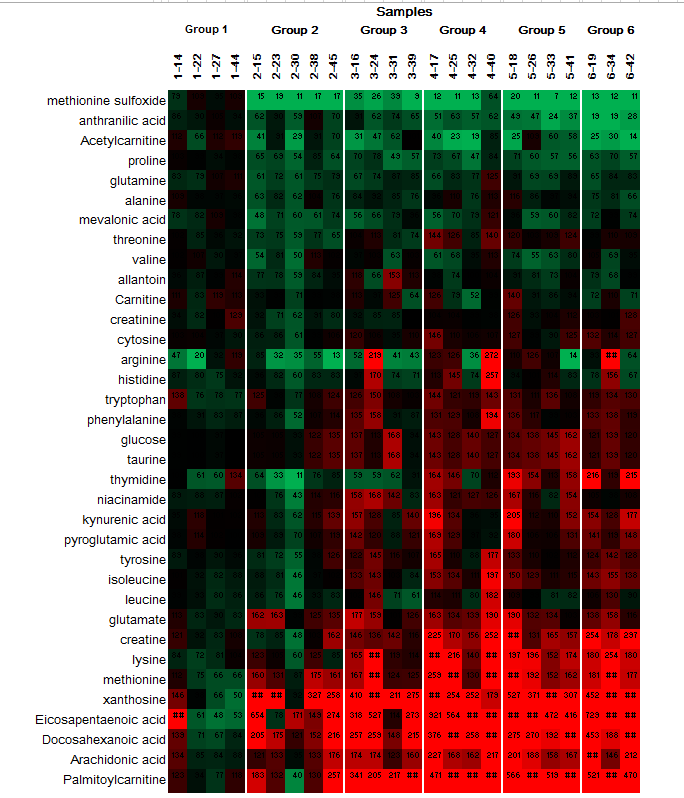 An example of the an intersting request, was a metabolism heat map of calculated concentrations, that displayed compounds as rows and sample/groups as columns and then applied conditional formation to color code the results. All this was accomplished in a small amount of VBA, and turned around quickly. So let us hear from you, and your ideas of how you’d like to see your data either in reports or in new views within the application. We are glad to announce that TraceFinder 2.1 is being cut to disks this week and will be on the shelves shortly. The version has many “bug” fixes and performance improvements, but the BIGGEST feature is the ability to be run on any detector Thermo supports. So if yo have a QExactive or a FID standalone GC, its supported. As well as, blended configurations. So “Got Data?” we have a tool for you. Plus soon to be published iBook for getting started with TF. “The Guru Guide”, written by the product manager for TraceFinder. Remember if you have a question please fill out the form on the “Ask A Guru” tab. That message goes directly to the product manager or one of the support staff. Custom Reports Suddenly Stop Working????? Here’s a reason and a Fix!!!! If you (suddenly) get an error like the following (which may vary depending on OS) when generating custom reports, it is likely caused by a recent security update for MS Office. Good news is that Microsoft realized this problem and provided a “fix it” tool at http://support.microsoft.com/kb/2703186. 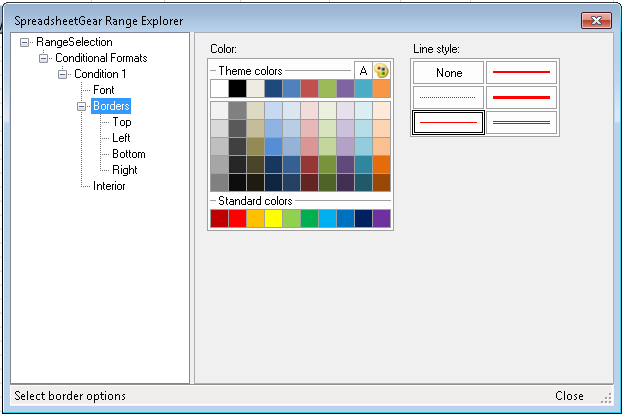 There is an EXD file created for some VB 6.0 runtime files when you use the controls provided by the runtime files in the Visual Basic designer. Those files are located in %APPDATA%\Microsoft\Forms\ folder (which may vary depending on OS). The problem is that, when security update installs new versions of certain runtime files, the EXD files become invalid and hence this error occurs. To fix the error, you need to delete the EXD files and they will be re-created as needed. To delete those files, you can either use Microsoft provided “fix it” tool from the link above, or go to the folder directly and delete them. This link http://technet.microsoft.com/en-us/security/bulletin/ms12-027 gives you some details why the security update is necessary and which software are affected. A Quick Note on OneNote and Report Printing? Is Microsoft OneNote hijacking your print jobs? While we don’t usually focus on tech support issues here on the Office Blog (that’s what the Microsoft Answers forums are for), let me shine a quick light on a recurring issue that has caused some of you to scratch your heads and write in about. In a nutshell, the problem appears to be that OneNote 2010 (or OneNote 2007) intercepts all of your print jobs whenever you try to send any information from your other programs or your Web browser to your trusty printer. While you must admit that this is a great way to save paper and finally “go green,” it’s no laughing matter when your boss expects you to hand him or her a printed report and you can’t seem to do that. Until recently, you’ve always been able to print anything from your computer to your printer. Now, your print jobs seem to suddenly bypass your printer completely and go straight into Microsoft OneNote, where they appear like scanned images. You really want things to go back to the way things were and have your print jobs sent to your actual printer once again. Microsoft OneNote comes with a nifty little utility called the Send to OneNote print driver. A print driver is a small piece of software that directs output from a computer to a printer. Typically, the operating system controls such software, so it can monitor how a computer talks to hardware devices like a printer. In the case of OneNote, a special print driver is installed that lets you send your print jobs as images into your OneNote notebooks. The OneNote print driver wasn’t designed to override your printer settings and assume you want every print job sent to OneNote 2010. Instead, it’s intended to be waiting in the wings, available whenever you want to use it, and taking a backseat again whenever you’re done sending a particular print job to OneNote. You installed OneNote 2010 or Office 2010 with no physical printer installed or selected at the time, causing the Send to OneNote print driver to act as your default (preferred) printer. You installed a new physical printer on your computer after installing OneNote 2010 or Office 2010, without promoting the printer to act as your default printer. You share your computer with someone else who installed OneNote 2010 or Office 2010 and set the Send to OneNote print driver to act as the default printer. Your printer software is incompatible with your operating system version and Windows has reverted to the Send to OneNote print driver as the default printer. Even if you’re not really sure how it may have happened, there’s an easy solution. When the Send to OneNote 2010 print driver is marked as shown, print jobs will be sent to OneNote as images. If you have a real printer installed, right-click its icon, and then click Set as Default Printer on the shortcut menu. Your printer is recognized as the preferred printer for future print jobs when it has the check mark icon next to it. On the Windows taskbar, click the Start button. On the right side of the Start menu, click Control Panel. When Control Panel opens, click View Devices and Printers (if you’re in Category view) or click Devices and Printers (if you’re in Icon view). Right-click the printer icon that represents your physical printer, and then click Set as Default Printer on the shortcut menu. When Control Panel opens, click Printer (if you’re in Category view) or click Printers (if you’re in Classic view). If you do not see an icon for your actual printer, it’s likely that your printer is not correctly installed. Check the printer manufacturer’s website for any updated drivers that are specific to your version of Windows (for example, a 64-bit edition of Windows) and make sure that the printer is properly connected to your computer. Even if you had a bad first impression of the OneNote print driver hogging all of your print jobs, don’t be too quick to dismiss it even after you demote it from being your default “printer.” You might be surprised how useful it is to have the ability to print certain information right into OneNote. Although digital printouts in OneNote are image files that you can’t edit, you can right-click such images in OneNote 2010 and extract the text from them with the Copy Text from Picture command. As long as the text in the image is large enough and legible, this works really well. You can then paste and use the copied text into your notes or elsewhere in your work. Remember, whenever you have a technical support issue, head on over to Microsoft Answers — the official Support forums for OneNote and Office. It is monitored daily by knowledgeable and helpful members of the Microsoft MVP community, Microsoft Support, and the Office product teams.